…of AGROSELECTOR® sorting machines to be working side by side. The simple, solid design of our sorting machines guarantees their long service lives and reliability. This means you can expand your production capacity gradually and build on the continuous growth of your company. This project proves it once again. One of our long-standing and faithful customers was effortlessly able to install a new model next to a 15-year-old AGROSELECTOR® (left in the picture). This allowed for a side-by-side comparison of the technological progress. 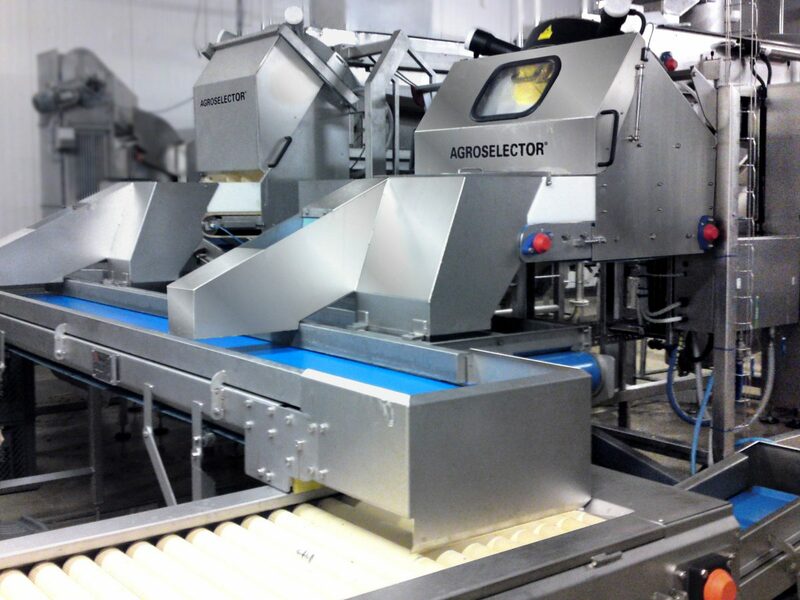 AGROSELECTOR® sorting machines are compact and delivered fully assembled. This means most customers can integrate them in their production chains without external help. The customer itself can also install the necessary utilities as soon as the AGROSELECTOR® is in position. Installation and operating instructions are supplied with each sorting machine so that installation goes without a hitch. Apart from this, the customer is informed of all the necessary connections right at the planning stage. Commissioning of the sorting machine is always carried out by one of our service technicians and is contractually documented. Click on the "Read More" button for further information about cookies.